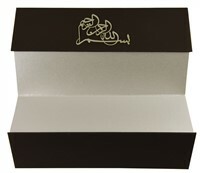 “Bismillah- Ir Rehman Ir Rahim” ornamental symbol beautifies the front of the main card. 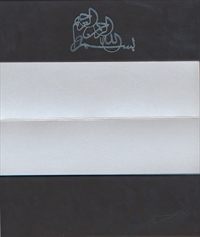 The symbol means, “In the name of Allah- the most gracious, the most merciful”. A budgeted unique card to make your invite majestic! Brown matte finish hardbound paper for the two hardbound thick cards. 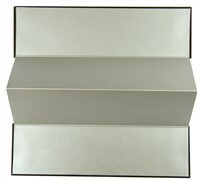 Silver shimmer paper (250 gsm) mailing box envelope and 4-fold card.